Approving expenses in Abacus should be super fast and easy. There are two main ways you can optimize your expense approval workflow. The first is by using filters and saved searches to streamline your approval process. 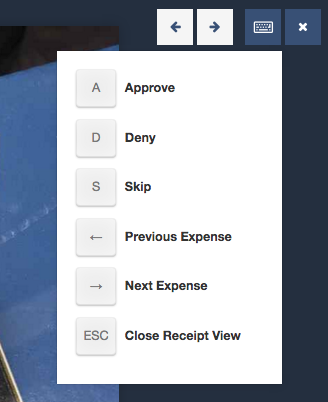 The second is by entering Receipt View mode where you can review expenses at a high level and use keyboard short cuts to zip through the expenses in your Inbox. This also comes in handy if viewing the details of the receipt image is integral to your approval process. 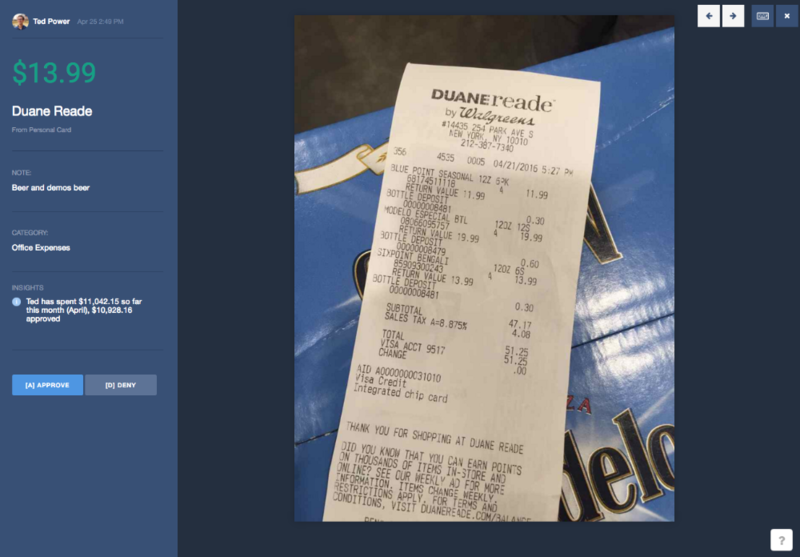 Receipt View allows you to view large images of receipts side by side with the information that's important to you. Click on the "Receipt View" button at the top of your Inbox section. You can also enter into Receipt View after adding filters to your expense list. 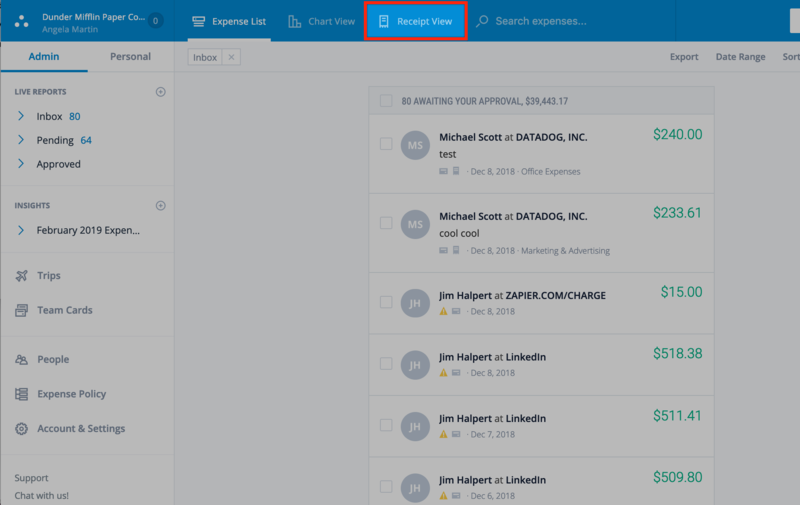 This will make it even easier to speed through your expense Inbox!